Английский язык » Разное » How difficult is it to learn Russian for a foreigner? To begin with, let’s ask ourselves: why do Americans and other English-speakers start learning Russian? of this decision. For example, the French language was very popular in the 19th century. Since the whole world was focused on the French culture. English is the language number one in our generation. It’s the most prevalent language on the Internet. The Russian language is also included in the club of world languages. This is due to the active role played by our country in the international arena. Many foreigners admit that desire to learn the Russian language came after reading Dostoevsky and many other Russian classics in English (Tolstoy, Chekhov, Pushkin). They were so impressed that they started to learn Russian to be able to read these masterpieces of the great connoisseurs of human souls in their native language. Someone works with Russia, someone has Russian roots…So that there are a variety of reasons. New language is new world view. Knowledge of a foreign language gives you an excellent opportunity to further explore the history and culture of an alien country. Russian and English are complex, multifaceted modern languages. But Slavic languages in their grammatical structure ​​are much more complicated than the Romano-Germanic language ​​group. The English Grammar doesn’t know such phenomena as the masculine and the feminine gender, perfective and imperfective verbs, cases, conjugations, etc. Now phonetics. 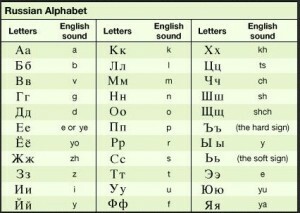 There are sounds in Russian that have no equivalent in English. English-speaking person finds it difficult to learn to distinguish between «ш» and «щ», and to pronounce such sounds as «ы», hard «ж», soft «л» and «р». The Russian language is studied in many highly regarded U.S. universities. As an example, let’s consider Middlebury Language Schools at the Middlebury College, VT. The current U.S. Ambassador to Moscow John Beyrle and even CIA and FBI agents studied Russian at this school. 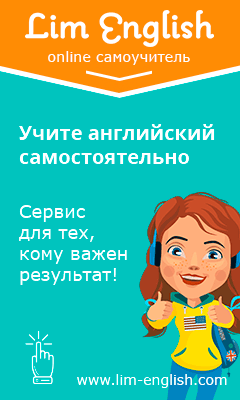 In addition to Russian many other foreign languages ​​are taught here. At the first set out students must take the Language Pledge: “I promise to speak only the language I am studying for the duration of all my time in the program. I understand that the breach of this Pledge may result in my exclusion from the School without value or refund.» Since this every student ought to forget his first language and speaks only the language he or she is studying. Even if he or she knows just a few words on it. The essential principle of all learning — immersion in the environment is implemented in such a way. Moreover, there is a theater circle in the Russian school, which plays are put in Russian. Russian learning requires a lot of mental exertion and time allocation. Therefore any foreigner can be proud that he or she comprehends one of the most beautiful and the most multiform languages ​​in the world. Автор 1 статей в этом блоге. У меня юридическое образование. Мечтаю выучить несколько языков и стать полиглотом как Дмитрий Петров.